East Jakarta Library and Archives Sub-department(Sudinpusip) will add more functions to its libraries, reading parks, and reading corners. Now, children who visit those facilities can have chance to get tutoring and training.
" This facility can be used to give training and tutoring for children at school age"
East Jakarta Sudinpusip Head, Eka Nuretika Putra conveyed, training and tutoring will be given to children in school age. This program is targeting children to gain more knowledge from scientific books and able to implement it. "This facility can be used to give training and tutoring for children at school age. This is our new strategy to improve public interest in reading in the library and reading park," he said, Thursday (1/10). Next, he also plans to provide mentors and train them to teach the students. But his side needs to wait for its budgeting process. 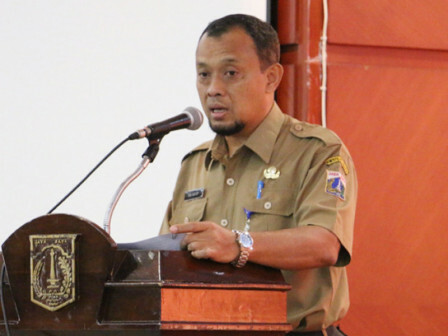 For information, East Jakarta has 15 reading parks that have been registered in sub-department office and reading corners in 59 Children-Friendly Integrated Public Spaces (RPTRA)s, urban village offices, sub-district offices, puskesmas (health centers), mosque, and other public spaces.